R2 Safety Cut features a cut-resistant knit Kevlarâ„¢ lined palm while the pique lining w/CoolPass on the back of hand wicks away sweat. Built in Enprotex liner provides a waterproof barrier to keep moisture out. 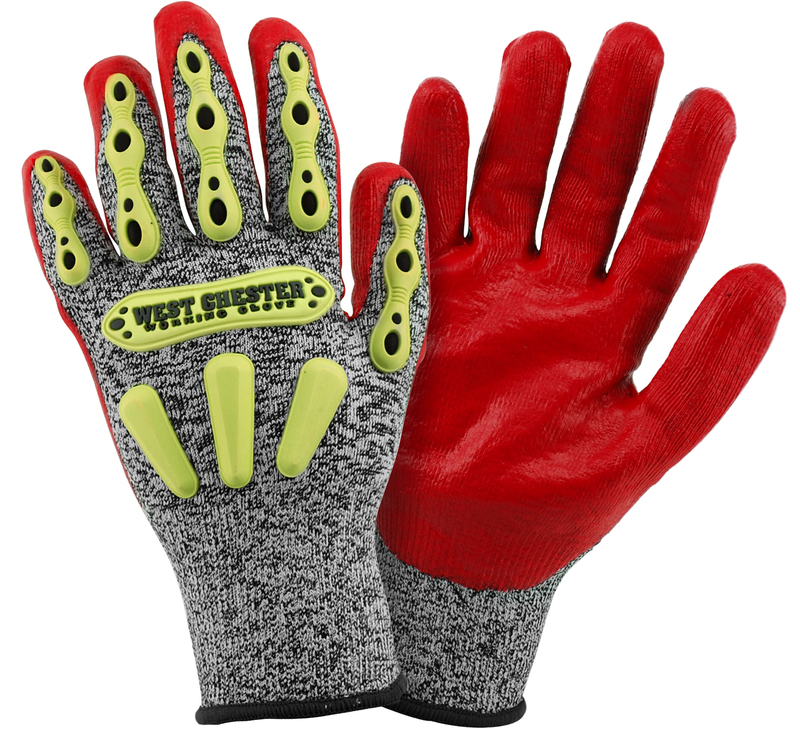 Glove palm and fingers feature synthetic leather overlayed with additional layer of synthetic leather printed with red silicone pattern for an oil resistant, better visibility grip. Back of hand impact zones protect against bumps and bruises.